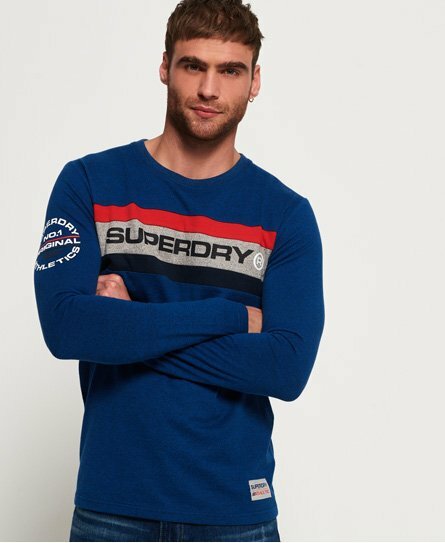 Superdry men’s Trophy long sleeve t-shirt. Keep it casual with this long sleeve t-shirt, great for layering or to simply wear on its own. The trophy long sleeve tee features a large textured Superdry logo across the chest with multicolour panel detailing, a Superdry Athletics logo on the sleeve and a Superdry Athletics patch on the hem. This classic crew neck tee would look great teamed with jeans and trainers, or even dress the lookup with some of our boots.